Go to App Store or Android store (there are too many Android versions in China and Google Play Store is blocked), download the WeChat app. Register for an account with your phone number and activate the account. You can switch the language to English under "Me > Settings > General > Language". Before you use payment gateway, it is mandatory to add a bank card to your WeChat account. Navigate to "Me > Wallet > Cards" and add your bank card. 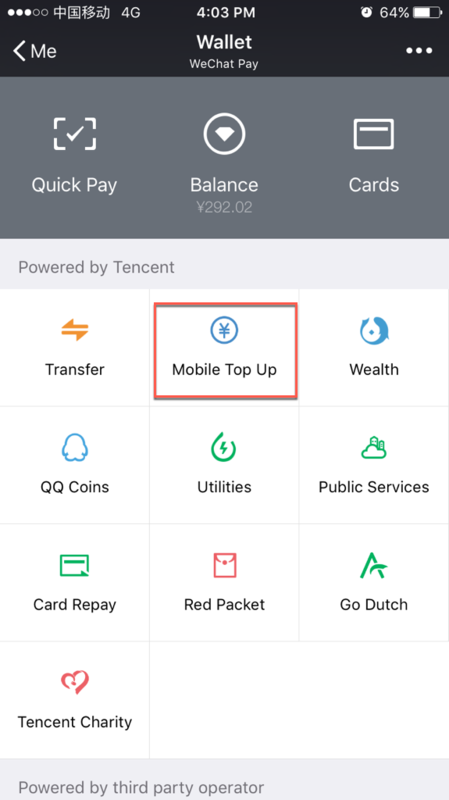 Once the card is added, go to "Balance" section and tap on the "Top Up" button to add amount instantly to your WeChat account. 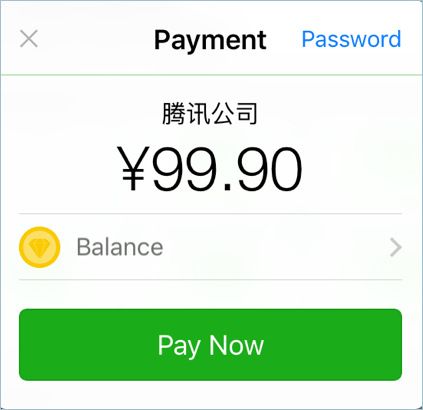 It is necessary to keep the amount under your WeChat account before any payment and you can withdraw the amount back to bank account any point of time later. It is also a good idea to request your Chinese friends to send red packet or just transfer money to your WeChat account. This amount will be available as balance and can be used for mobile top up without adding the bank card. Withdrawal from WeChat to bank account is free up to 1000 RMB and there will be nominal charge for more than 1000 RMB withdrawal amount. The mobile top up option is available under "Me > Wallet". 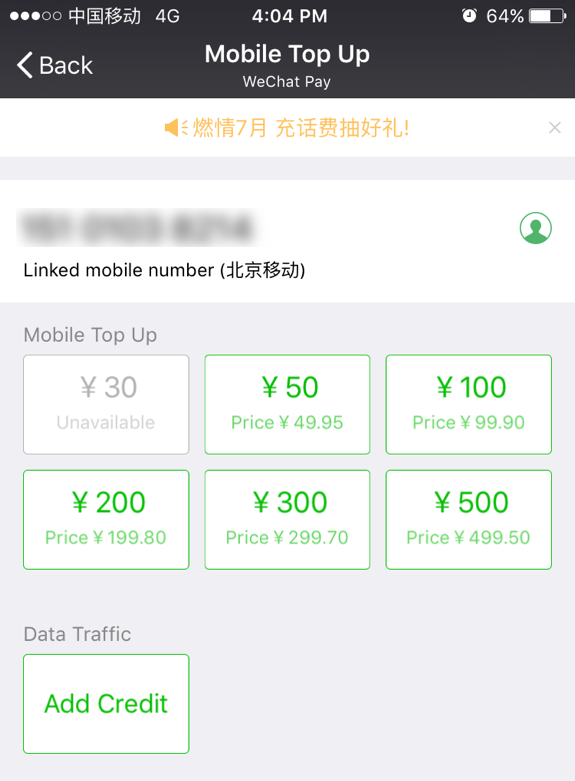 By default the linked phone to your WeChat account or the previous topped up number will be shown along with the amounts ¥ 30, ¥ 50, ¥ 100, ¥ 200, ¥ 300 and ¥ 500. Touch the phone number to edit and add different number for topping up. Once the number and amount is selected, tap on the "Pay Now" button to top up the mobile. 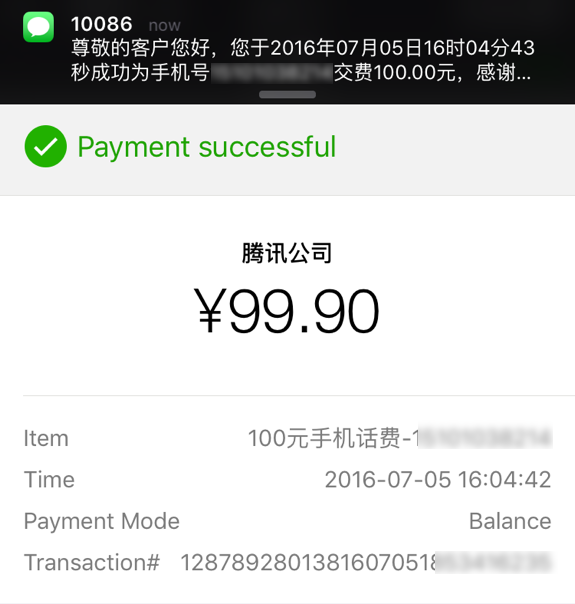 After the payment, you will receive instant success message within WeChat and also the SMS from your mobile service provider. The total process will take less than 30 seconds if you are already using WeChat account with a bank card added to it. 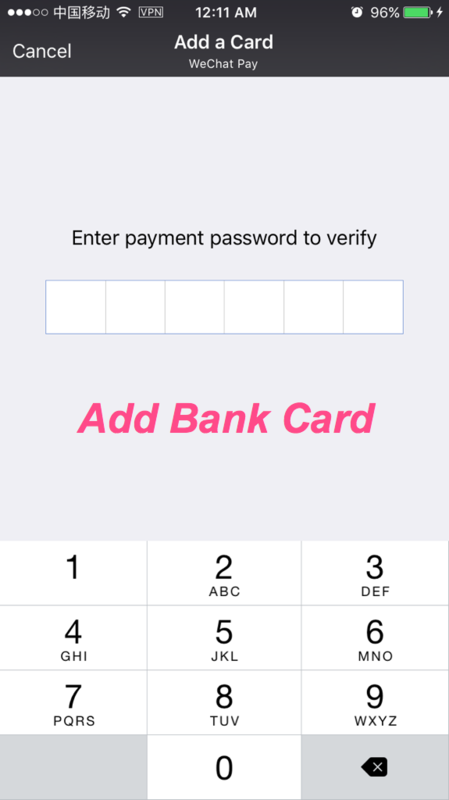 For a new user it may take few minutes to create account, add bank card and then recharging your mobile. Another, if you want to recharge when your WeChat wallet is short of balance, but you have no a China mainland bank card and you didn't verify the account. Don't worry, vpayfast can help you at any time, WeChat wallet recharge or purchasing & paying sevice(mobile phone recharge) is available, support 28 domestic currencies to pay, instant delivery! Next : How to Use Alipay Wallet?